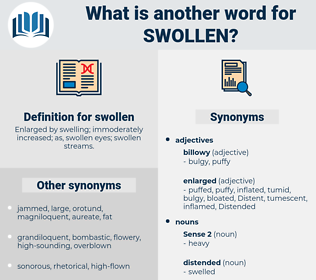 What is another word for swollen? 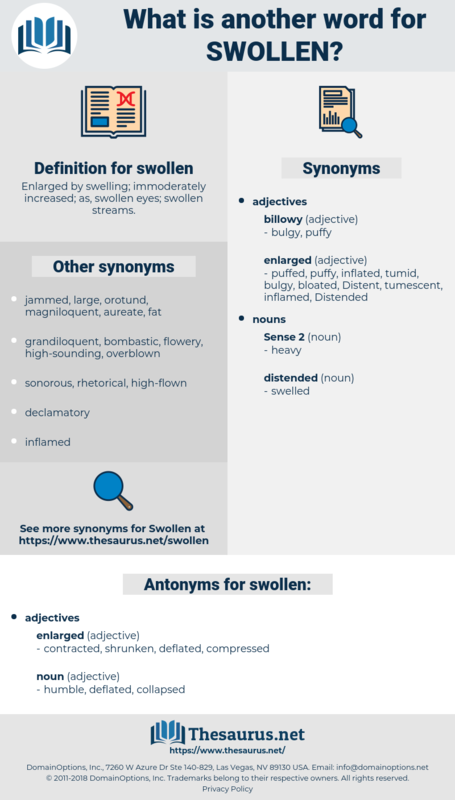 Enlarged by swelling; immoderately increased; as, swollen eyes; swollen streams. We were certainly in motion, though very slowly, on the ice of that swollen river, in the quiet and solitude of a night in which the moon rather aided in making danger apparent than in assisting us to avoid it! Our lips were dried together, and our tongues swollen.